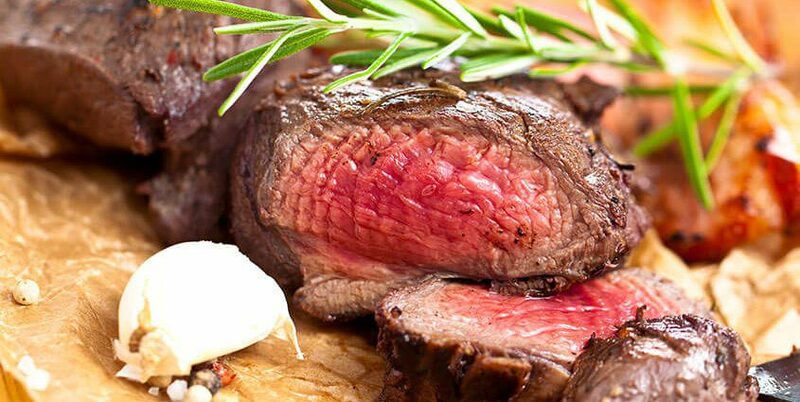 Elk – The Healthy Red Meat! 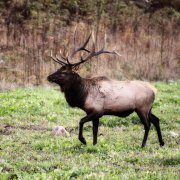 Are you looking forward to an elk hunt at The Wilderness Reserve? Or did you enjoy a guided hunt this past year? Beyond the excitement of the hunt and the relaxation of being surrounded by such majestic nature, the meat harvested has great value. The Wilderness Reserve can help you work out the transportation details and even give you some preparation tips to make the most out of your Midwest elk hunt. 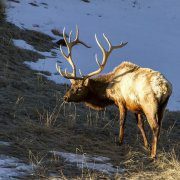 Did you know that elk meat is exceptionally low in fat? In fact, it has less fat and cholesterol than veal, chicken, beef or pork. The fat that it does contain is what’s referred to as ‘the healthy fat’, Omega-3. Even better, Livestrong.com explains that the meat is high in protein, iron, magnesium, phosphorus, potassium, and zinc. Most game tends to be healthier for us than store bought meats, but elk is even better for you than venison! And that’s just the actual nutritional value of eating your harvested meat. There is also huge health returns for the hunt itself. All the fresh air and cardiovascular exercise is good for your heart, lungs, and even your emotional health because nature has long been recognized as a healing force. So what’s not to love? Just like with venison, elk can be substituted for many of your favorite recipes that call for beef. Roasts, steaks, burgers, and stews are all very tasty when made with elk meat (and healthier!). The trick is to understand the differences in cooking technique needed for the best outcome. Elk shrinks a lot less than beef when it cooks, but it also cooks faster and dries easier. Marinate the meat for tenderness and flavor. Take care not to overcook – chefs recommend heating only to medium. Don’t pierce with a fork or knife while cooking; the tasty juices will flow out. Cook quickly to prevent drying. No matter how you serve it, elk will make for a delicious lunch or dinner. Some cooks even substitute it in less traditional methods, such as for fajitas or stroganoff. The beef like texture is an easy adaption in your diet, and the flavor is only slightly gamey, which suits varying taste buds. If you are looking for an awesome wild game marinade, check out the Ultimate Wild Game Marinade on the Elk Network sponsored by the Rocky Mountain Elk Foundation. So you have decided to give elk a shot and see for yourself how delightful it is. But what to serve with it? 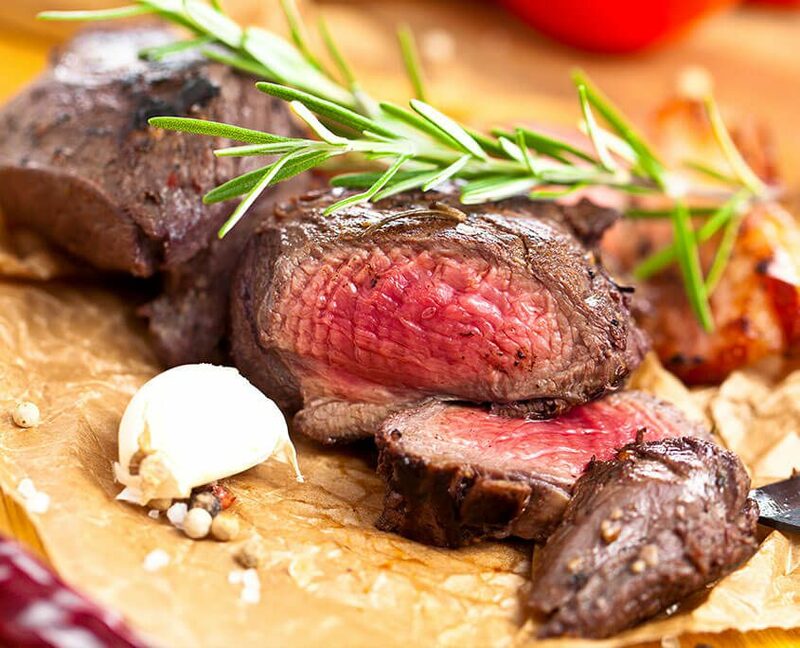 Game meat is best served with complementary fresh foods, both for taste and health aspects. And the right wine will have you savoring every bite! Start with the drinks. Both venison and elk meat are well paired with a rich red wine, although if you prefer a lighter body, there are still plenty of choices. Try a pinot noir or a Zinfandel, or even chardonnay if that’s your favorite. Next, on to the side dishes. Stick with the fresh theme, and focus on vegetables that will bring out the essence of the main course. You can’t go wrong with oven-roasted vegetables, such as potatoes, carrots and rutabagas. Brussel sprouts are also an excellent partner, and add color to the plate nicely. Wild rice is a popular choice for an elk side, and cranberries are often served with game roasts. When it comes to dessert, you might want to go light because the main course is sure to be filling. Fresh fruits are a wonderful way to complete the meal on just the right note. Roasted peaches with a caramel glaze, banana fosters, blackberry crepes or strawberry shortcake are all fairly light but delectable. Or go a more traditional route and top vanilla ice cream with fresh blackberries. Although there are restaurants and meat markets that offer venison and elk, there’s nothing quite like taking the whole journey yourself – from the woods to the table. Take pride in the immense satisfaction of harvesting the trophy of a lifetime with a guided elk hunt at The Wilderness Reserve. Not only will you gain many healthy meals, but memories that will stick with you for years to come! https://thewildernessreserve.com/wp-content/uploads/elk-sirloin-steak-recipe.jpg 684 845 TWR Staff https://thewildernessreserve.com/wp-content/uploads/TWR-Logo-Large.png TWR Staff2017-05-16 09:12:212017-07-17 08:59:19Elk – The Healthy Red Meat!